This note is really a conditional “good-bye” to you all. We have been on the march for days, sleeping on the bare ground, eating what we could … and are moving up to-night into the battle of the Somme. The bombardment, the destruction and bloodshed are beyond all imagination. Nor did I ever think that the valour of simple men could be quite as beautiful as that of my Dublin Fusiliers. I have had two chances of leaving them – one on sick leave, and one to take a Staff job. I have chosen to stay with my comrades. Described as ‘one of the most brilliant minds of his generation in Ireland’, Kettle had sat as MP for East Tyrone from July 1906, when he was returned at a by-election, until his retirement at the December 1910 election. His father, Andrew, a farmer who supplied barley to Guinness and Jameson’s, was a founding member of the Irish National Land League, together with Michael Davitt and Charles Stewart Parnell. He made unsuccessful attempts to enter Parliament in 1880 and 1891. 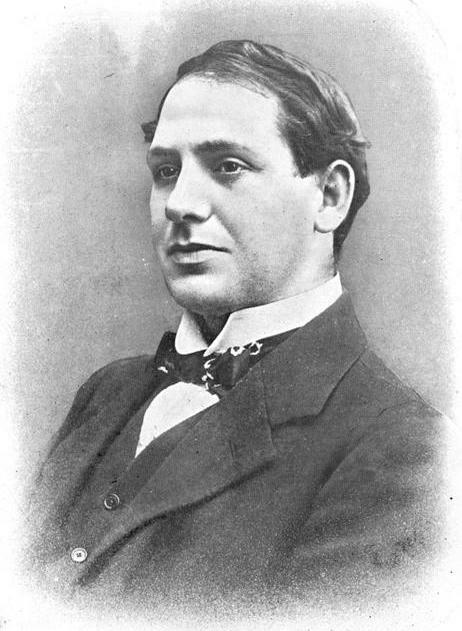 Tom Kettle shared his father’s commitment to the Irish nationalist cause, and was a leading figure in the foundation of the Young Ireland branch of the United Irish League in 1905. Although he had qualified as a barrister after studying at University College Dublin, he devoted most of his time to political journalism. He briefly edited the weekly newspaper, The Nationist. A gifted orator, Kettle made a deep impression on one contemporary with his maiden speech in the Commons, ‘when he stood up among the Irish members, a tall, slim, dark young fellow, with a wide humorous mouth, sparkling dark eyes, and a brogue that would charm a bird off a tree’. He toured the United States speaking and raising funds on behalf of his party in 1906. At Westminster, Kettle acted as the Irish parliamentary party’s chief spokesman on financial matters, attacking the costs of British administration in Ireland. Unlike many Irish MPs, he was favourable to the cause of women’s suffrage, with which his wife Mary and his sister-in-law Hanna Sheehy Skeffington were involved. In October 1909 Kettle was appointed as Professor of National Economics – although his preference would have been for a chair in English Literature – at University College Dublin, where his papers are held. He was re-elected for East Tyrone in January 1910, but decided to step down when a second general election took place that December. Well-travelled in Europe, where he had spent some time studying at the University of Innsbruck, Kettle was in Belgium when it was invaded by Germany in August 1914. He remained there for two months as war correspondent for the Daily News. Horrified by the events he witnessed, he declared that ‘it is impossible not to be with Belgium in the struggle’. 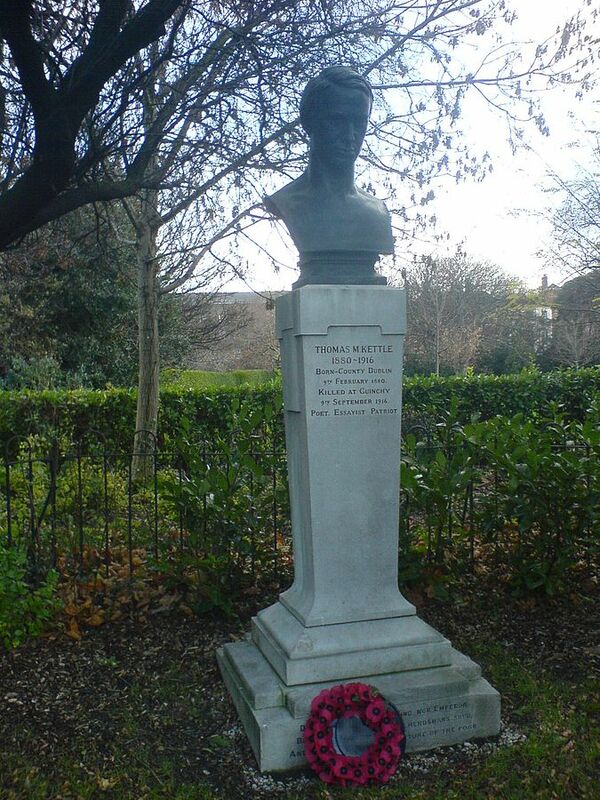 For Kettle, his Irish nationalism – he had gone to Belgium to procure arms for the Irish Volunteers – was not incompatible with his decision to join the British army to defend the cause of liberty in Europe. For Kettle, he was fighting ‘not for England, but for small nations’. Poor health (including a struggle with alcoholism) meant that he was assigned to recruiting duties, using his oratorical talents to make over 200 speeches in England and Ireland. This, however, alienated him from many in the nationalist movement, including his brother-in-law, Francis Sheehy Skeffington, who was killed during the Easter Rising. The ‘sneers of critics’ that Kettle was ‘but a platform soldier’ prompted him to renew his efforts to be posted to the front, and he sailed for France in July 1916. This entry was posted in 19th Century history, 20th century history, military history, World War I MPs and tagged Battle of the Somme, East Tyrone, Easter Rising, Irish MPs, Irish nationalism, WWI. Bookmark the permalink.